This morning, on my usual walking route with my dog, I noticed a new sign on the neighborhood gym that said “Yoga.” The word “Yoga” is everywhere, especially here in L.A., where, according to recent statistics, there are more people doing it than in its native India. The problem is, the activity that is actually being practiced is not exactly Yoga. More often than not, it is a simulation of the ancient spiritual technology, at best, thereby rendering the statistics irrelevant. Like many arts and sciences that are profound, beautiful, and powerful, yoga has suffered from the spiritual poverty of the modern world–it has been trivialized, watered down, or reduced to cliches. 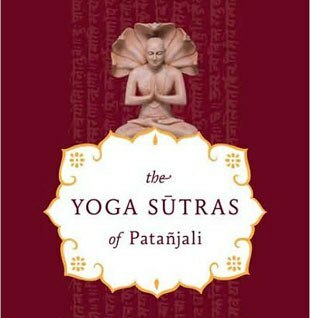 The deep and eternal essence of yoga has been misrepresented and packaged for personal profit by clever people. At the hands of some, yoga has been reduced to the status of just another exercise program available on videotape. In other contexts, yoga has been presented as a cult religion, aimed at attracting “devotees.” Such a haze of confusion has been created around the clear and pure concept of yoga that it is now necessary to redefine yoga and clarify its meaning and purpose. While there are many holistic classes to be found, too often, all you’ll find in “Yoga classes,” are the postures, which are merely a preparatory part of the discipline as a whole. But this is the part that is most eagerly consumed here, due to our emphasis, or rather, obsession, on the body. For the sake of maintaining the integrity of this ancient, and unbelievably rich tradition, here’s what I’d like to see hanging on the doors of these kinds of classes: a sign that says, “Yoga-inspired Exercises” in place of the sign that says, “Yoga.” After all, as Swami Bharati says, “we would not call a brick a ‘house’ even though it is part of the construction. Yet, this is what is often done with Yoga.” The postures are but a small part of the complete eight-part system known as Raj Yoga. So, the change would be done for the sake of clarity, dignity and truthfulness. It is not within the scope of this article to explain those eight rungs of Raj Yoga, nor the other ancient Yogic paths, such as Bhakti Yoga and Karma Yoga, since this information can so easily be found elsewhere (including via my own Youtube lectures). But, here is an overview of the inherent point and purpose of all the Yogas. Yoga is about union. You could say that the goal of Yoga is…Yoga, since that’s what the word means. It is the union of the self and the True Self, of the ego identity and the Supreme consciousness. It is a process of awakening to the divine reality that we were never separate from in the first place. It is the evaporation of maya, or, the delusion of separateness. It is the direct experience of the preexisting union between Atman and Brahman, or if you will, Shiva and Shakti. It is, as Paramahansa Yogananda describes it, Self-Realization. It is the awakened consciousness. It is God-consciousness. It is, as Sivananda has described it, Supreme Harmony. It is Samadhi—the final limb and crown of Patanjali’s eight rungs of classical Raj Yoga. The many therapeutic effects of Yoga have been touted so frequently, that many people now realize that the purpose of Yoga is not to workout. But to think of Yoga as a form of relaxation is to still miss the point. It is to replace one misunderstanding with another! On their website, YogaDayUSA.org listed the “Top 10 Reasons to Try Yoga” as, stress relief, pain relief, better breathing, flexibility, increased strength, weight management, improved circulation, cardiovascular conditioning, better body alignment, and focus on the present for health reasons. The authentic reasons for Yoga seem to be not even worthy of mention in their Top 10 Reasons for Yoga. Yoga Alliance, the sponsor of Yoga Day, described itself as “the leader in setting educational standards for yoga schools and teachers.” However, while they claim this authority, they did not see fit to acknowledge or include in their Yoga Day promotions the fact that the roots of Yoga come from the ancient tradition of Sanatana Dharma, out of which has grown Hinduism, Buddhism, Jainism, Sikhism and other traditions. The therapeutic effects of Yoga are many, but they are not the central intention of any of Yoga’s many paths, which are like the many rivers that all find their way to the sea. The different paths, or Yogas, intersect one another and often run in parallel. They accommodate the various inclinations and karmic propensities of the individual student who would find himself on a spiritual journey. Yet they all have the same goal of Self-Realization. * In this article, as elsewhere, I have followed the tradition, as pioneered by the renown authority on Yoga, Georg Feuerstein, of capitalizing the word Yoga, just as we would capitalize Zen, or, Christianity.